Roger Newton signed on as chair of Groundwork’s board of directors on October 1, 2018, after having served as a board member for several years. Roger is a career-long biotech entrepreneur and was a lead developer of the anti-cholesterol drug Lipitor, so notions of health, resilience and entrepreneurial approach are central to who he is. We asked Roger to share some thoughts about what attracted him to Groundwork and why he sees it worthy of his ideas, spirit and effort. Can you recall your first encounter with Groundwork? Let’s see. The first connection was back in the early 2000s when Hans Voss came to Ann Arbor with then-chair Reg Bird. We met at the Michigan Life Science and Innovation Center, which I, along with many others, helped start, an innovation center for biotech companies that formed after Pfizer closed down in Ann Arbor. The meeting apparently went well. Yes, we had a great meeting. And then we had a couple of follow-up meetings in Traverse City as well before I signed on to the board. Can you describe what it was about Groundwork that drew you in? I am always wanting to be involved in something that is bringing about incremental or exponential change for the human condition … in health care, in treating different diseases, but also just making things better for people. And I saw that opportunity here. Something at Groundwork resonated with you. Yes. I love working with people who are passionate about what they do and also want to make a difference. That is a large part of why I came up here and do what I do here. And it is about finding people I resonate with. I feel you can create a beautiful patchwork quilt of people with different expertise, different backgrounds, to create a knowledge base and experience base to really accomplish something. 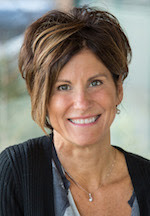 Mary Powell, CEO of Green Mountain Power, Vermont. Fast Company listed the company she leads as one of the Top 10 energy companies on the planet. Read. Was there something specific about the Groundwork mission that also connected with you? There’s always satisfaction working with people who have mission and passion. There are not too many places I’ve worked at or volunteered with that are like Groundwork Center for Resilient Communities. Like the work we are doing with culinary medicine and the conference we are planning for this fall. It’s very rewarding seeing this come to fruition, and also seeing the churning of ideas around this topic and bringing in very talented people from around the country to visit and be a part of what we do, be a part of it. This is important work. Whether it’s related to health care or helping bring about new business models for farming, or being able to assure that children are eating healthy food, and also learning about healthy food, the educational piece, where they are being taught nutrition and the value that has for their lifestyle and how long you live and how well you live. This is a great place to be able to do that. As a biotech entrepreneur, obviously the idea of starting things and thinking beyond boundaries is a big part of you, and I’m wondering if that part of Groundwork that starts things also resonated with you, because it revealed that people here are not bound by traditional notions of nonprofit work. Yes, absolutely. Hans as a leader has a great way of respecting people’s ideas and what is meaningful to them, and what is also meaningful to the region. There is nothing cookie-cutter about how to do things at Groundwork. And that’s exciting. There are exciting things going on in each individual program. And nobody works alone here. There is great team effort and people are able and willing and committed to what they say they are going to do. You saw the startup spirit here. Yes, the incubator spirit, I absolutely saw that. I saw the joy that comes from success. It’s also the voyage. The journey we are on. What else about the culture of Groundwork made an impression? We celebrate. That is another important thing. Celebrations for jobs well done. That is done here. That drew me in as well. People here are not so serious about themselves. They keep their personality. Keep who they are. It’s a place I’ve made a lot of friends and had the opportunity to meet some very hardworking, creative, intelligent, and purposeful people who really have a goal and go after it. 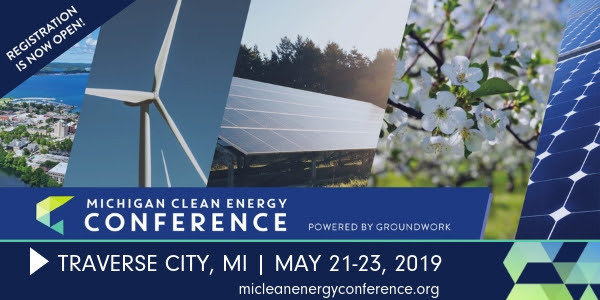 Reserve your place at the 2019 Michigan Clean Energy Conference, May 21–23. Dealmaking, insight, connections during a beautiful time of year in Traverse City.